The 2005 Rolex Transatlantic Challenge begins tomorrow, a very good topic to wrap up the week. 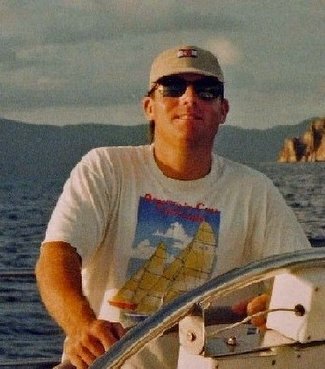 This article in Sailing World by Tony Bessinger is a good read – in particular his quote from Carleton Mitchell’s book, “Passage East.” Before I read this and did research I didn't know much about Mitchell...his words are, as Bessinger notes, an inspiration. I wrote about the Transatlantic Challenge in April here and as you know, this is a race of immense historic significance. Bessinger will be reporting from the 130-foot S&S ketch Sariyah, sending daily reports to Sailing World. Sariyah is under charter to New York YC member Cortright Wetherill Jr. If you’re in New York City this weekend, at 9:00 AM a parade of sail begins down the Hudson River, past the Statue of Liberty, and out to a starting line that's roughly between Sandy Hook, N.J., and Ambrose Tower off New York Harbor. The first gun goes off at 2 p.m., and Class 1 starts at 2:10 p.m.. Class 2, Performance Cruising (Sariyah’s class) will start at 2:20 p.m., and Classes 3 and 4 will follow in 10 and 20 minutes, respectively. Fair winds and safe passage to all competitors. Have a great weekend!